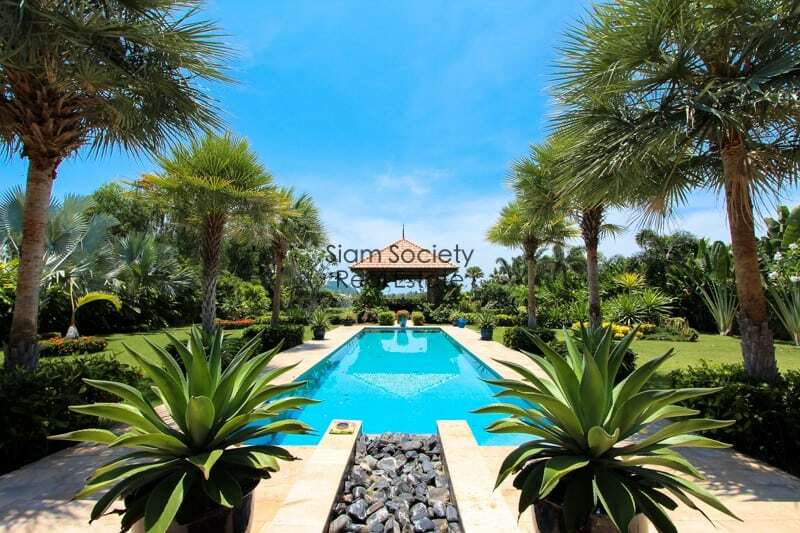 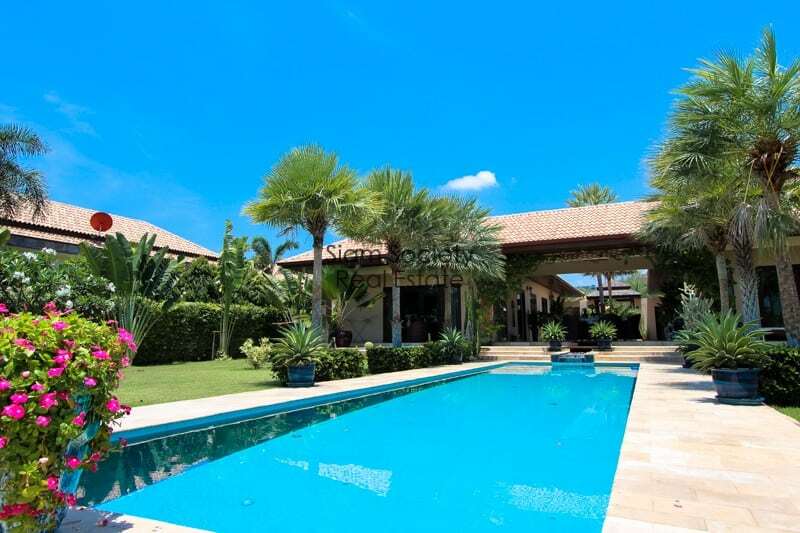 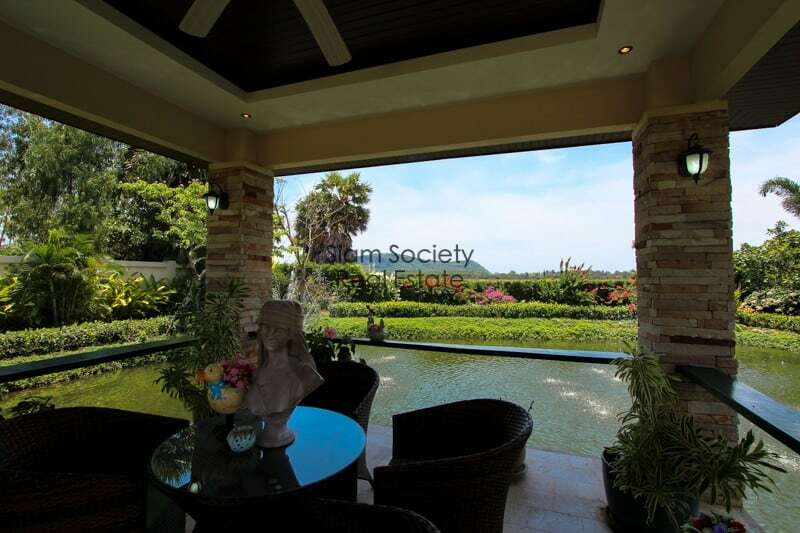 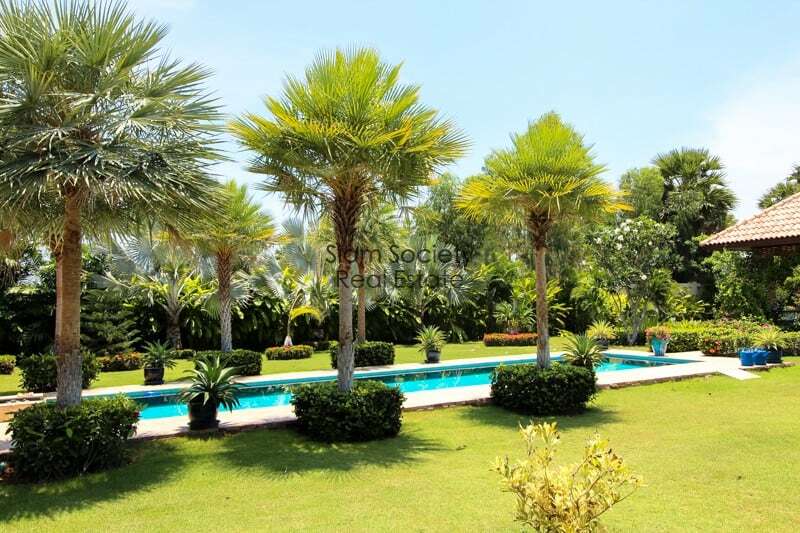 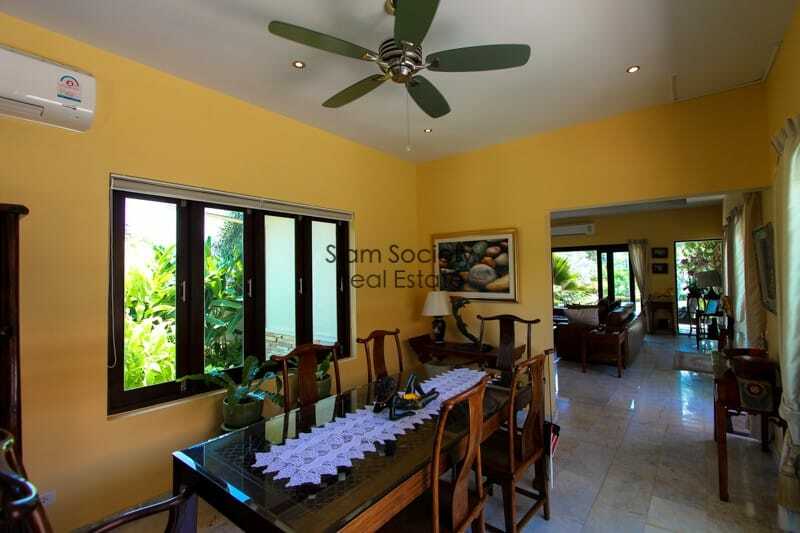 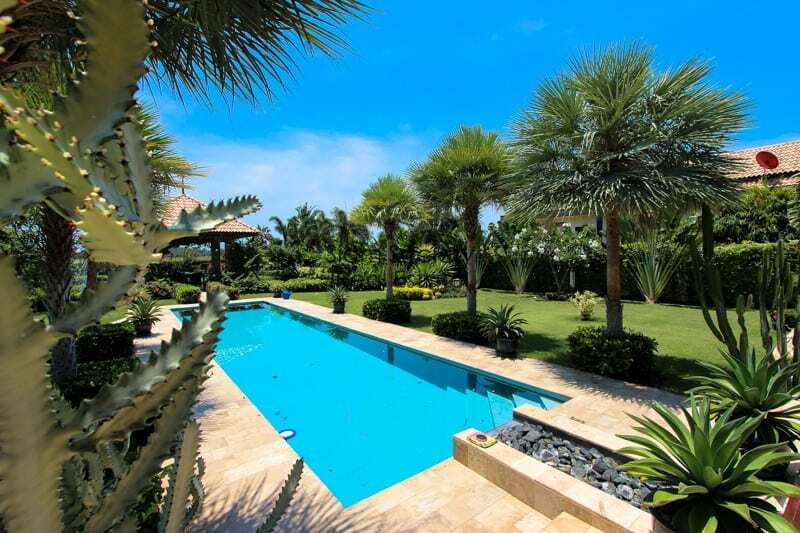 This is a luxury Bali-villa near the beach with views for sale. 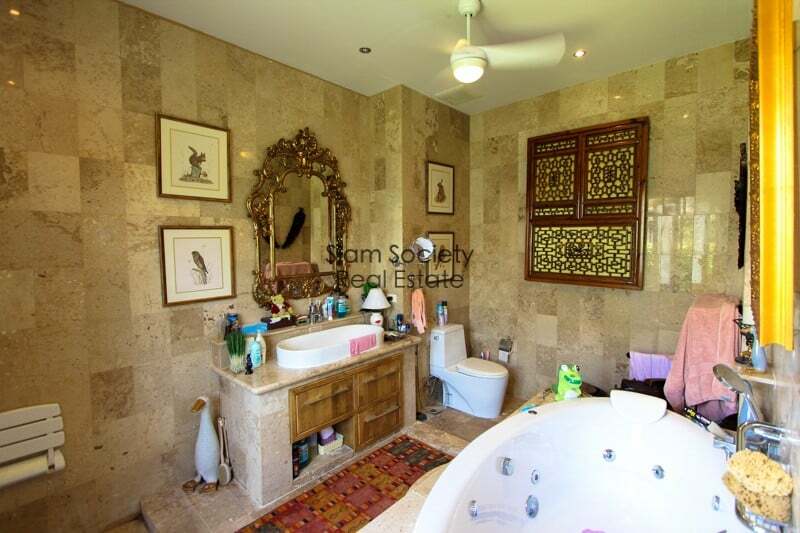 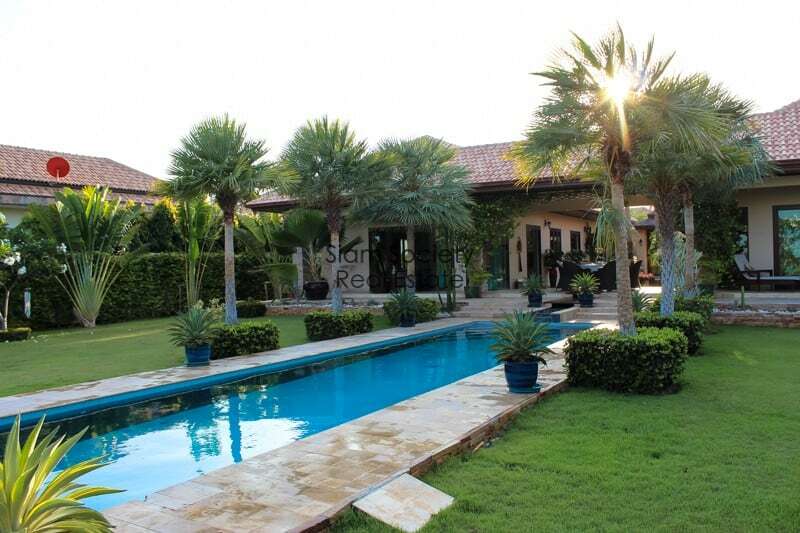 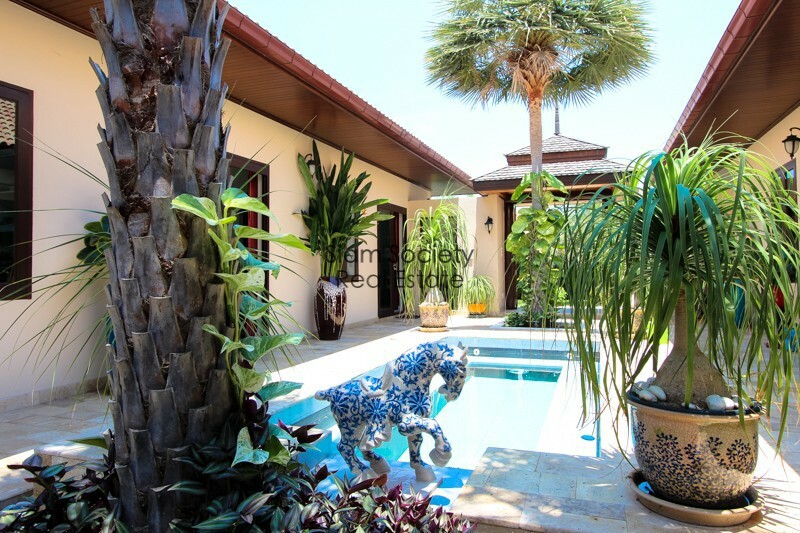 This is a beautiful custom designed home, built in the traditional Balinese style, with bedrooms located on the south wing, and kitchen, living room, and dining room built on the north wing of the property. 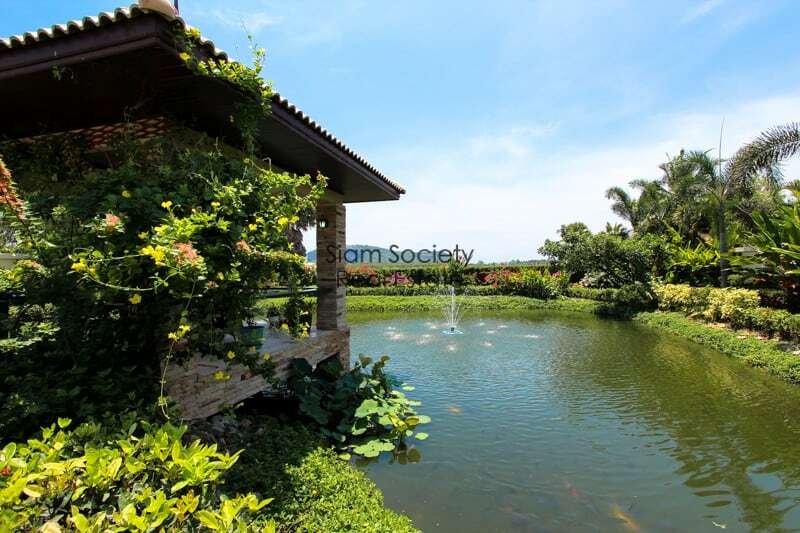 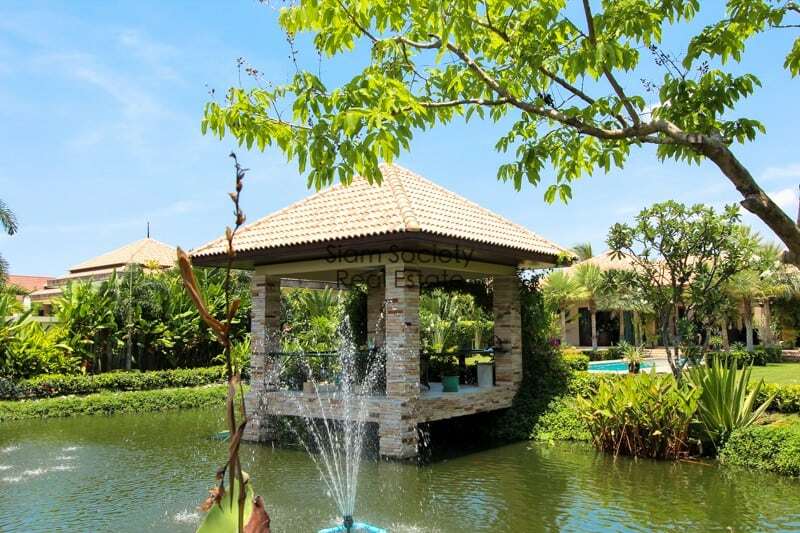 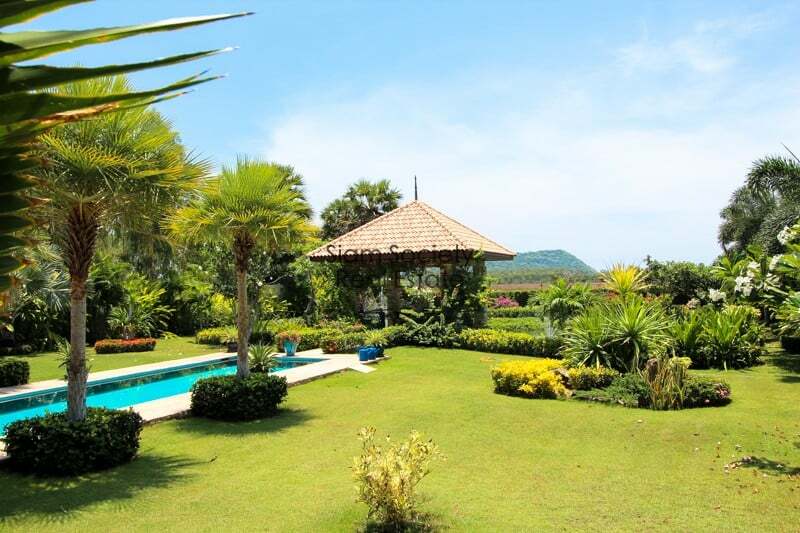 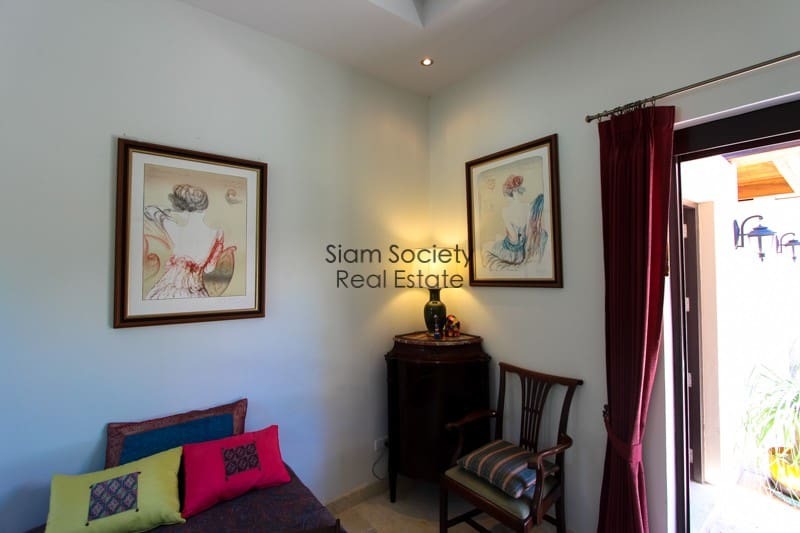 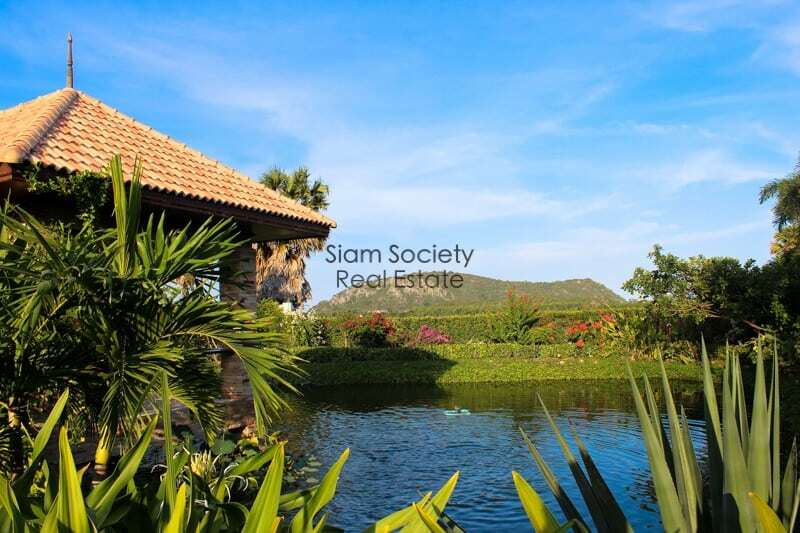 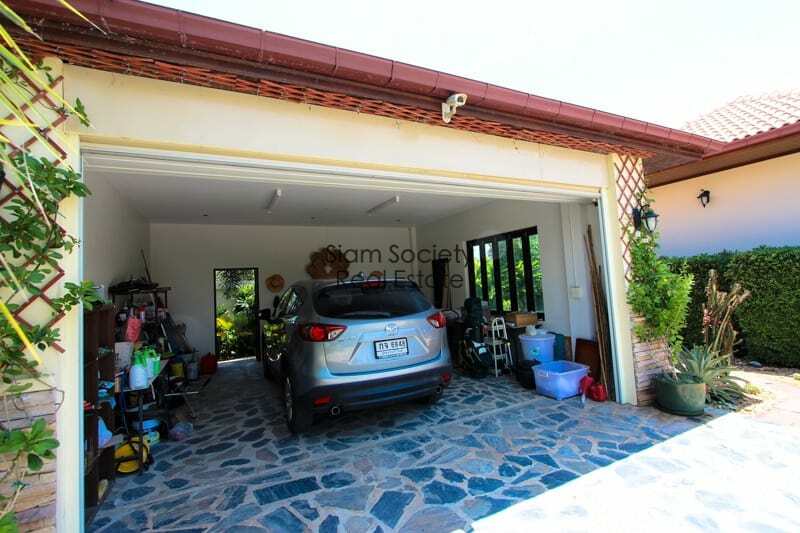 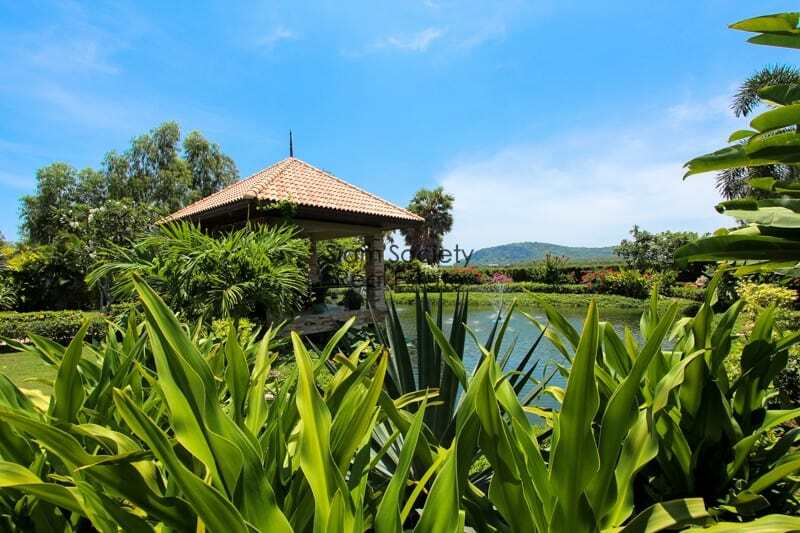 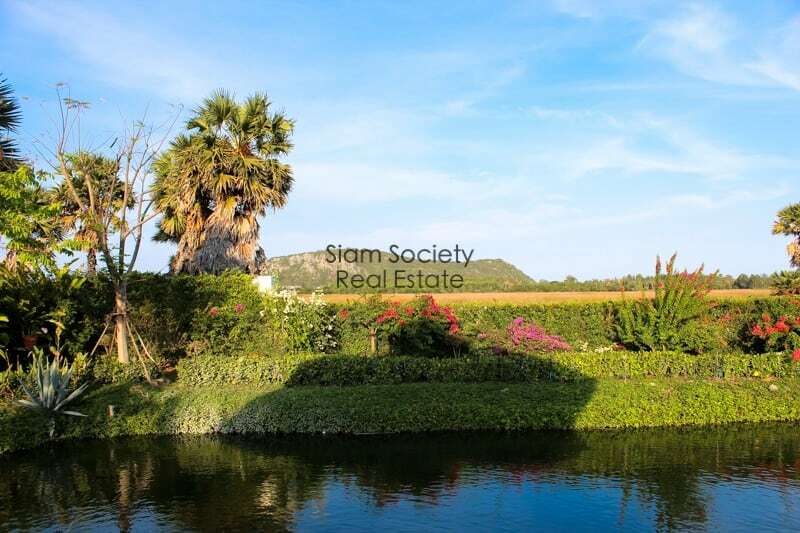 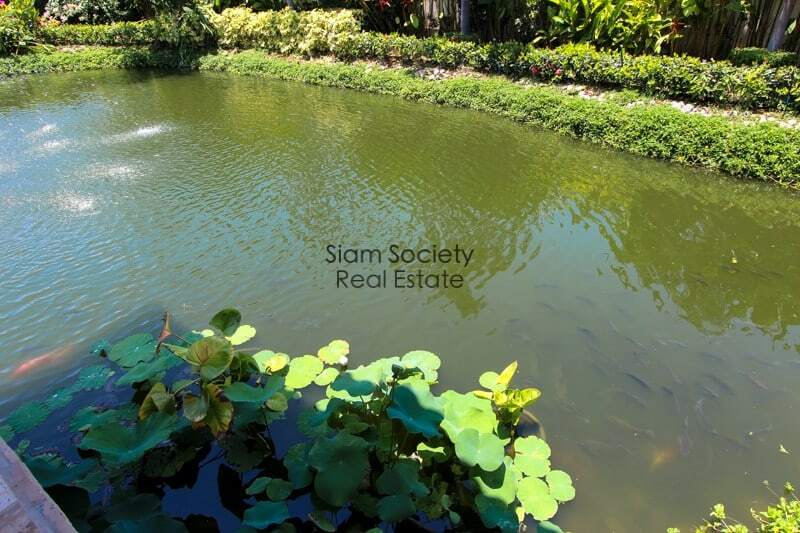 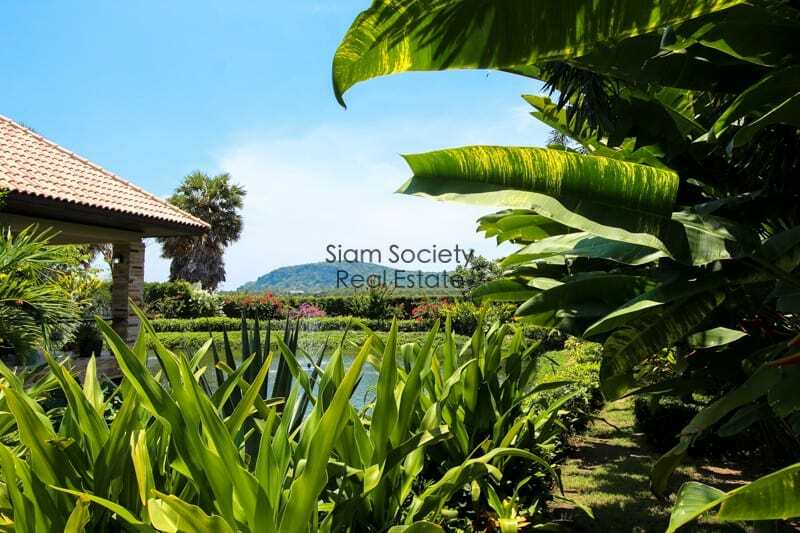 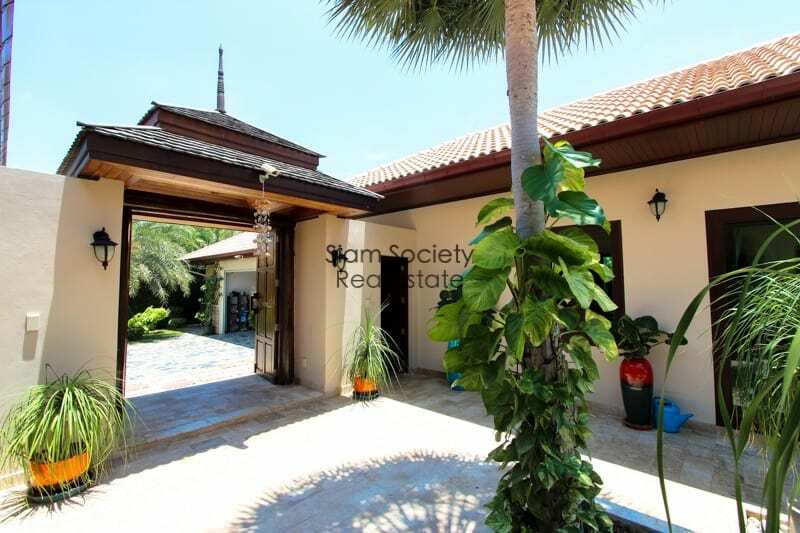 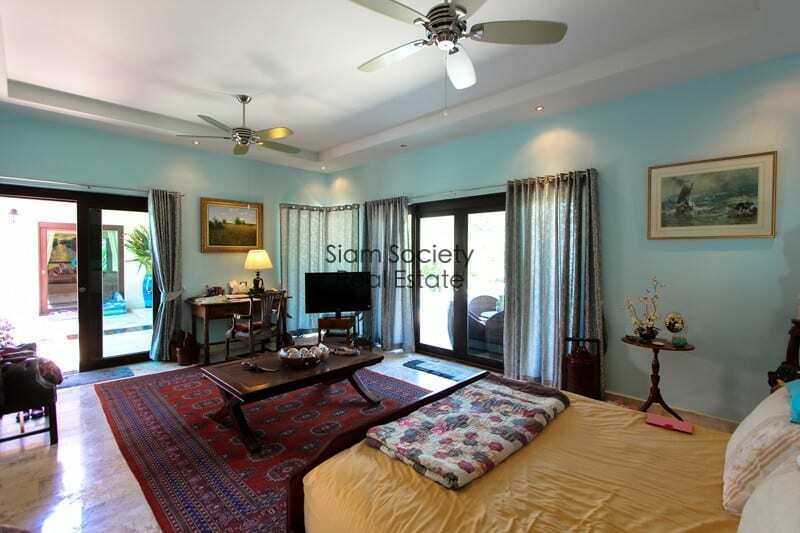 This is truly a resort-style home with manicured gardens, private lake stocked with a variety of fish, and spectacular uninterrupted views of the Kao Kalok beach mountain. 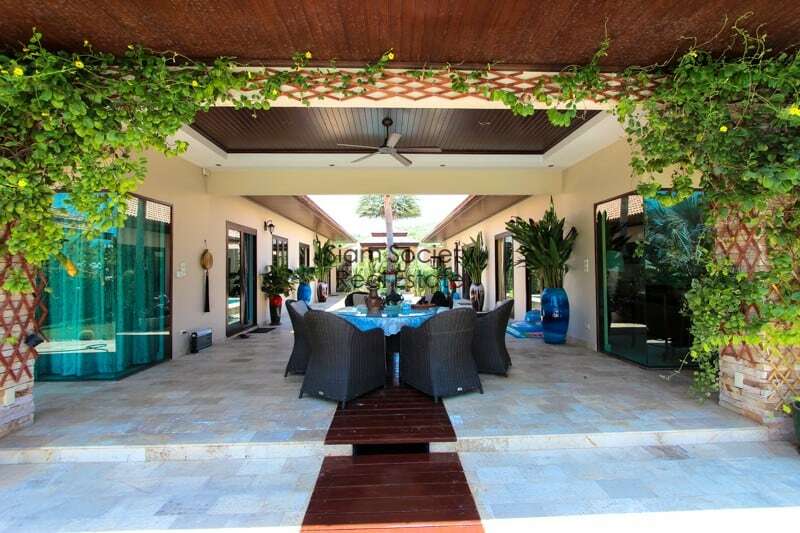 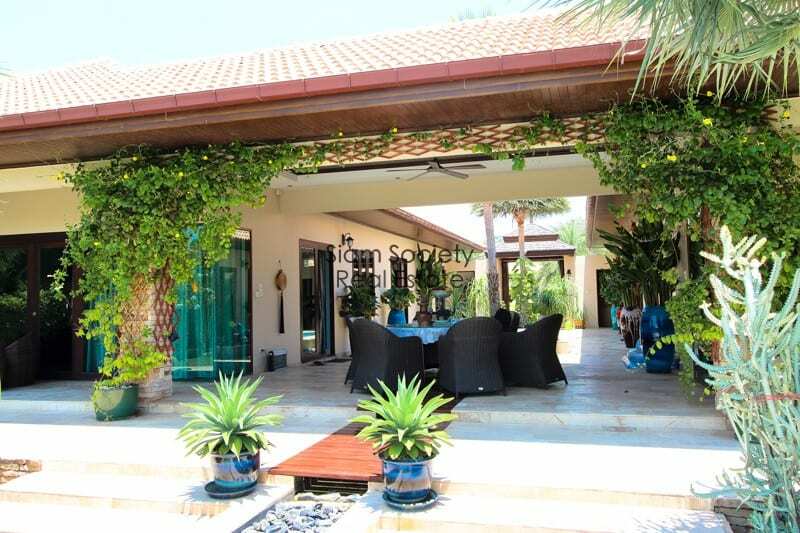 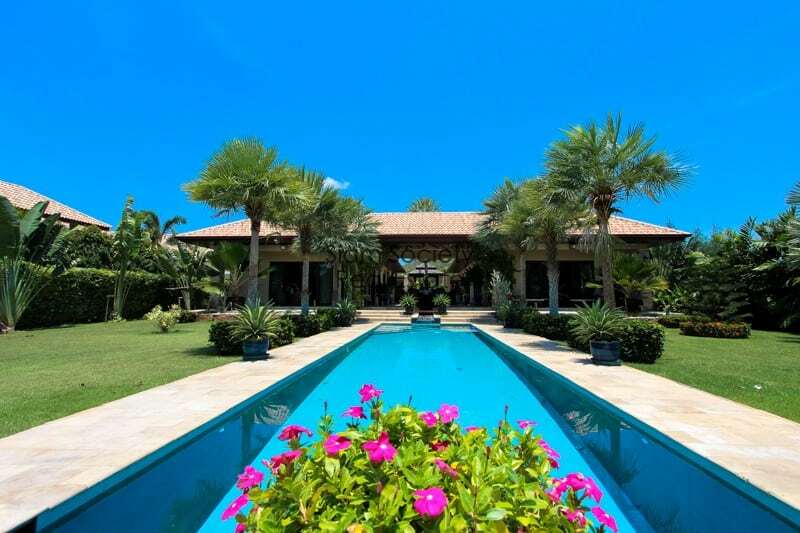 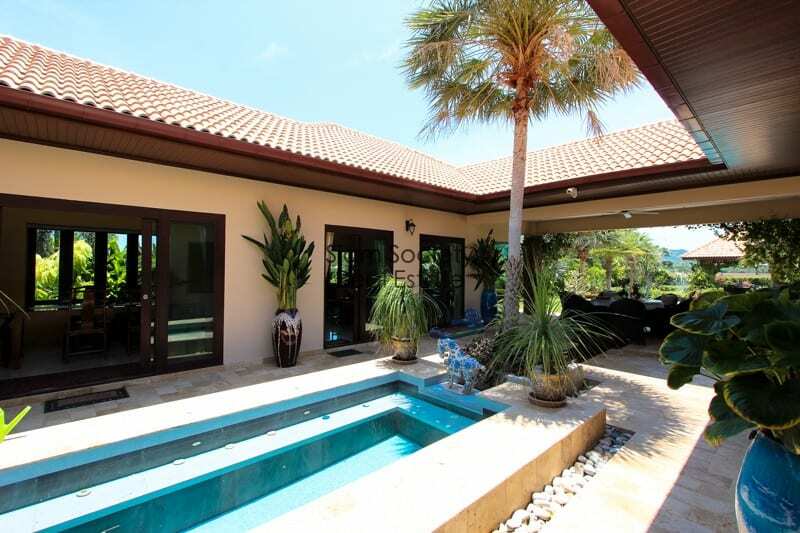 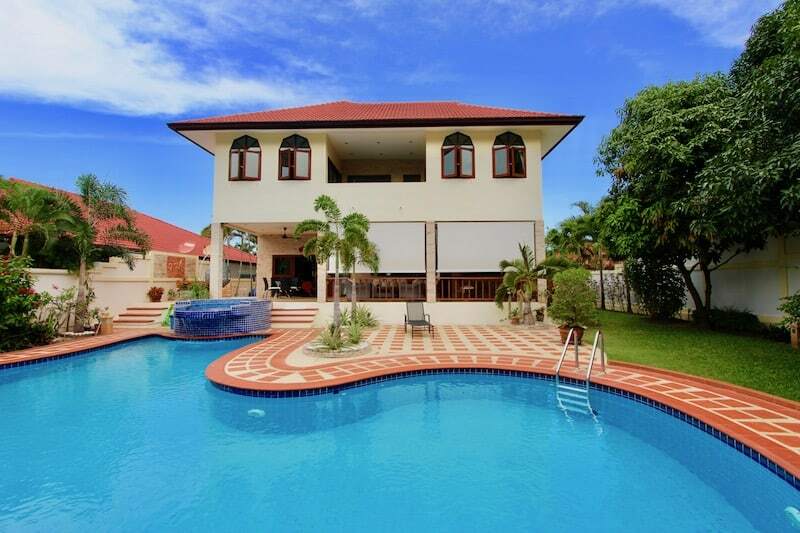 The house has a 14 meter lap-style swimming pool, separate maid’s quarters, enclosed & covered garage parking (and a secondary covered parking area), automatic sprinkler system, a formal dining room, and a very large living room. 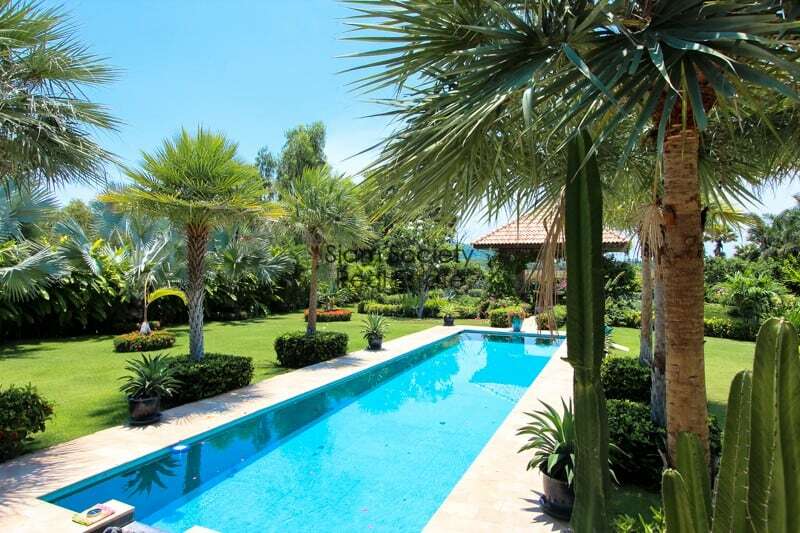 The central courtyard features a large jacuzzi overflowing into a rock-bed river, which ultimately feeds directly into the swimming pool. 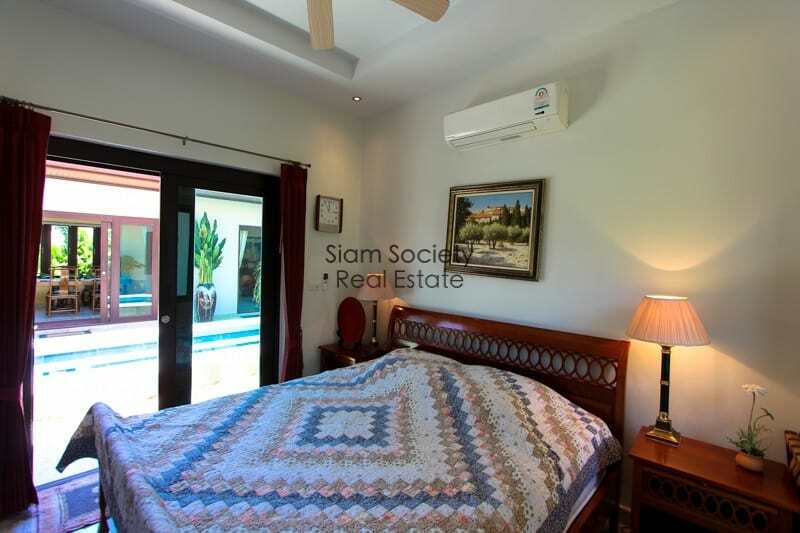 The master bedroom has a large ensuite bathroom, with modern jetted bathtub, luxury shower, and views towards the private lake and Kao Kalok mountain. 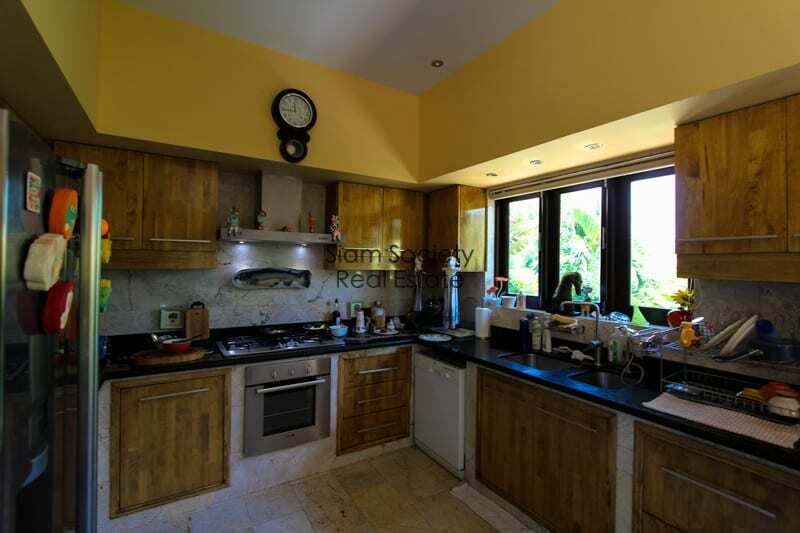 The kitchen is equipped with modern, Western-style appliances and a large prepping kitchen island. 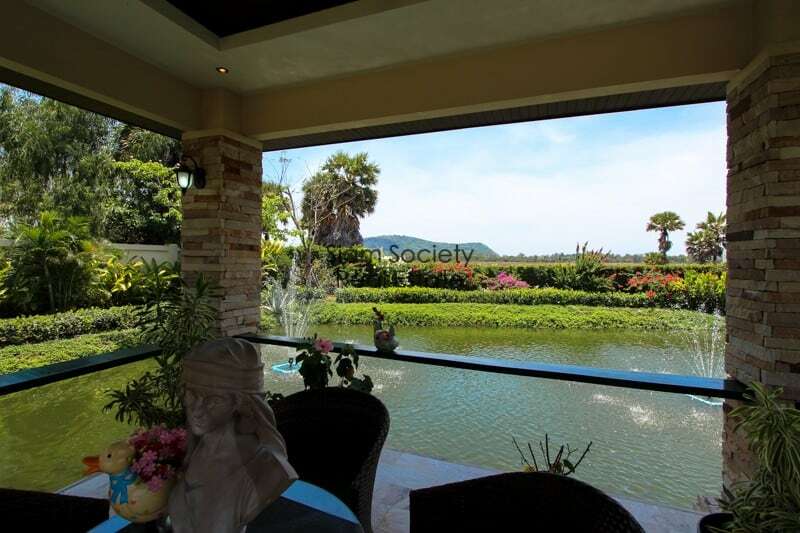 The house features a full security CCTV system, underground water storage, upgraded electrical system, & did we already mention the beautiful views? 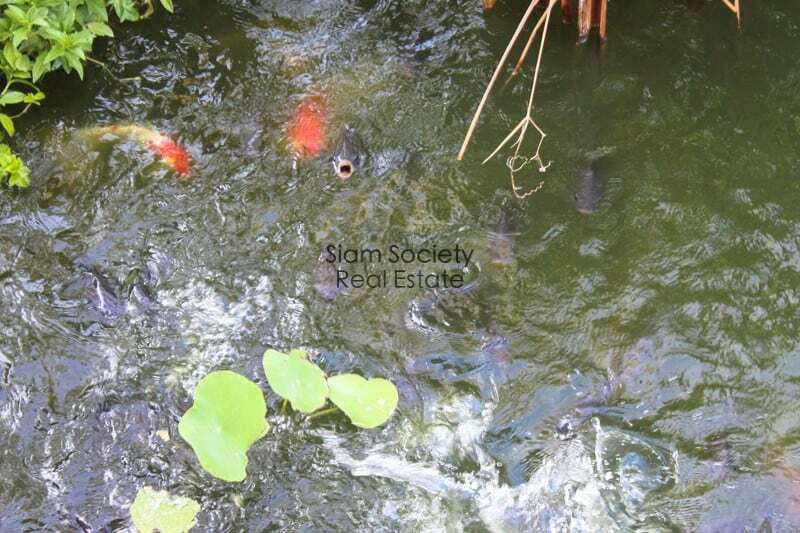 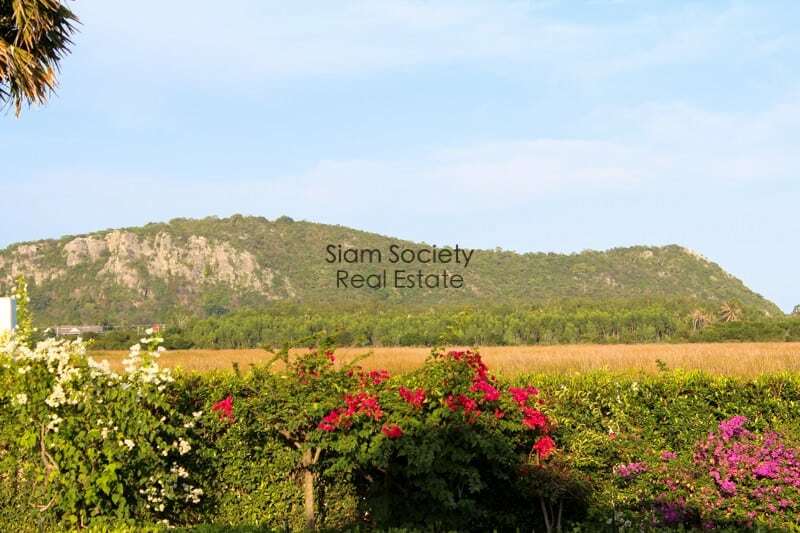 The land title is full Chanote and the property can be owned Freehold.